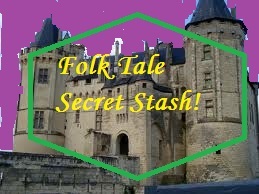 Fairy Tale Fandom: Folk Tale Secret Stash: Bearskin. Folk Tale Secret Stash: Bearskin. It’s been a while since I did a Folk Tale Secret Stash. So, I thought I’d go back to where I started with these and look at a Grimm fairy tale. But what could I offer with this one that isn’t in any of the Grimm stories I’ve covered? Could it be . . . SATAN!? Spiritual figures like God, the Devil and Death itself appear in European folk tales a fair bit. However, instead of their more solemn Biblical appearances, the folk story versions of these larger than life figures tend to take on a different flavor. It tends to be a bit more earthy and a bit more human. The devil in particular has some interesting appearances. He’s often seen trying to trick human beings and getting tricked in return, competing in fiddle contests that he always loses and just underestimating humankind in general. Sometimes the devil even has family. There are a couple of other Grimm stories that feature the devil and his grandmother. The more folkloric version of the devil persists into more modern day popular culture, too. He appears in things ranging from Charlie Daniels songs to the DC Comics storyline Underworld Unleashed. The story I’m going to promote today is a little different, though. In this story there’s no trickery and no fiddle contests, instead the devil challenges a man to a battle of pure physical and spiritual endurance. This is the tale of “Bearskin”. 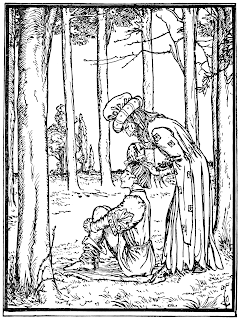 The story starts out with one of my favorite fairy tale protagonist types: the soldier. This soldier had served in war bravely but when it had all ended he was left with no money, no trade and nowhere to go. He tried moving in with his brothers, but they wanted nothing to do with him. So, with no possessions left but his gun, he went off into the woods by himself. 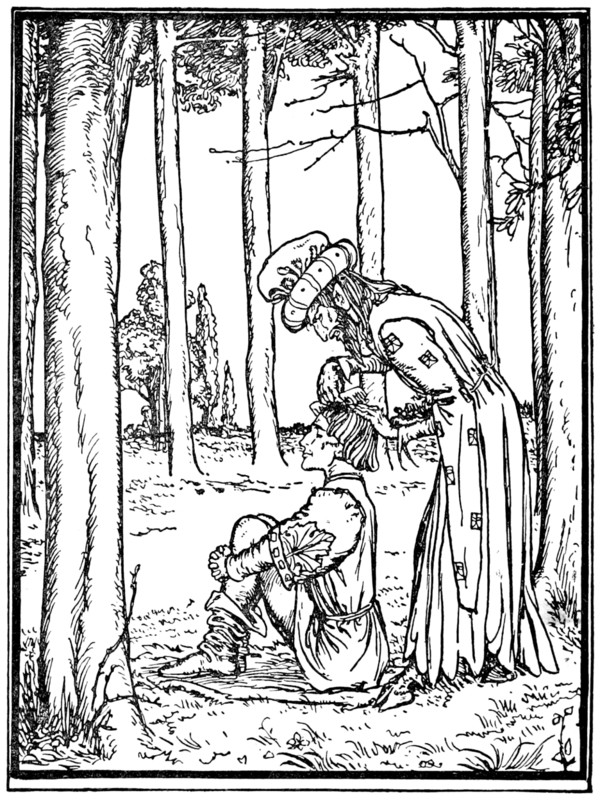 While the soldier is pondering his lot in life, he meets with a man dressed in a green coat who has one cloven foot. You can probably guess who this is. So, the Devil tells him that he can solve his problem and make him a rich man, but first he must prove that he is brave. Suddenly, a ferocious bear appears behind the soldier. He turns and shoots it. The devil is pleased. So, he lays out the details of his challenge. The Devil can make the soldier a rich man but first he must go for seven years without bathing, cutting his hair, cutting his nails or saying the Lord’s prayer. In return, the Devil gave him his own green coat which he was to wear. All the soldier had to do was reach into the pockets to find money when he needed it. The Devil then stripped the skin off the bear and gave it to the soldier to wear as a cloak and to sleep on. 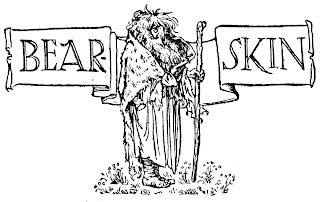 The Devil informed him that since he was expected to wear the skin all the time, he would become known as Bearskin. The catch of the whole thing is that if he should die during the course of these seven years, his soul belongs to the devil. The soldier accepts the challenge, puts on the coat and the bearskin cloak and goes off into the world. For the first year, Bearskin looks presentable. By the second year, he starts to look like a wild beast. His hair covers most of his face, his skin is caked with dirt and his fingernails had practically become claws. Bearskin though went about his business, paying for food and lodging with the devil’s money and also giving it to the poor so that they may pray for him (I don’t think the Devil quite saw that part coming). In his fourth year, he manages to secure lodging in an inn despite the owner’s protests (ultimately, money talks). While he’s there, he hears a loud lamenting in the next room. He goes and talks to the man in the next room and finds that he’s lamenting because he and his daughters have had to give away so many of their lands and possessions and that he had become so poor that he could not even pay the innkeeper. Bearskin was so moved by his story that he started giving him the money he could get from the coat and even paid the innkeeper for him. The man was so pleased with this that he thanked Bearskin profusely and offered him one of his daughters as a bride. Bearskin took him up on the offer but upon meeting him the two older sisters were downright horrified. One ran from him and the other insulted him to his face. The third, however, accepted him. She saw through the dirt and grime and decided that someone who helped her father like he did must be a good man underneath. That part was settled, but Bearskin knew he still had a few years to go. So, he removed a ring from his hand, broke it in two and gave her half. He then told her that he must leave for a few years and that he would return for it. He asked her to pray for him and went off. Does this story end well? Does he ever return? You may read the unabridged version of the story HERE. This story I can see as sort of a love it or hate it type of story. Some people aren’t crazy about spiritual elements working their way into folk stories (I can run hot and cold on it myself). I’ve also talked with people who have not quite understood the concept of the story. They just don’t understand how making a deal with the Devil could ever possibly turn out well for anyone. But that does ultimately come down to not being familiar with the type of devil who pops up in these stories. This devil isn’t an example of “perfect evil” so much as an evil but ultimately fallible entity that always seems to misjudge or underestimate humanity. To believe that a simple human could best the Devil through their own devices probably felt very empowering for a European peasant. It was also just a bit subversive. The church was very powerful in pre-Industrial Europe and their line of thinking was usually that only piety, prayer and virtue could keep the Devil at bay. Also [SPOILERS], the Devil doesn’t exactly leave this story empty-handed. Personally, I like this story. It’s very different from most “beating the Devil” stories. It’s also rare that we receive such a potent visual of a fairy tale hero. But here we have a hero who is a grimy, hairy long-nailed, bearskin-clad mess. It’s a mental image that won’t leave most people soon. Overall, I think the tale is unique and a hell of a good tale (hey, I couldn’t resist ending this one on just one pun :p ). I love tales featuring the Devil (or Death), and Bearskin is one of my favorites! 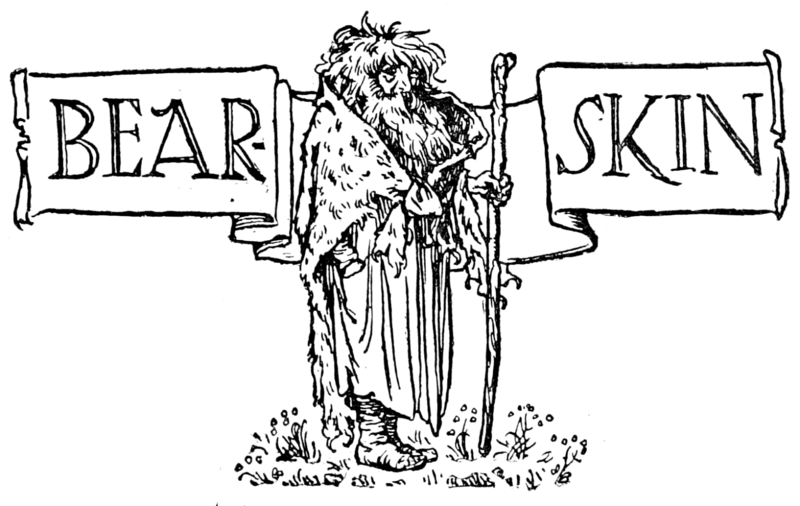 My first exposure to it was The Bearskinner: http://bit.ly/1N73VGT I read it and I was hooked. I think what I love is the humanity, the ordinariness of these supernatural characters. Great post!! Fairy Tale Media Fix: RWBY. Fantasy Literature Rewind: The Jungle Books.